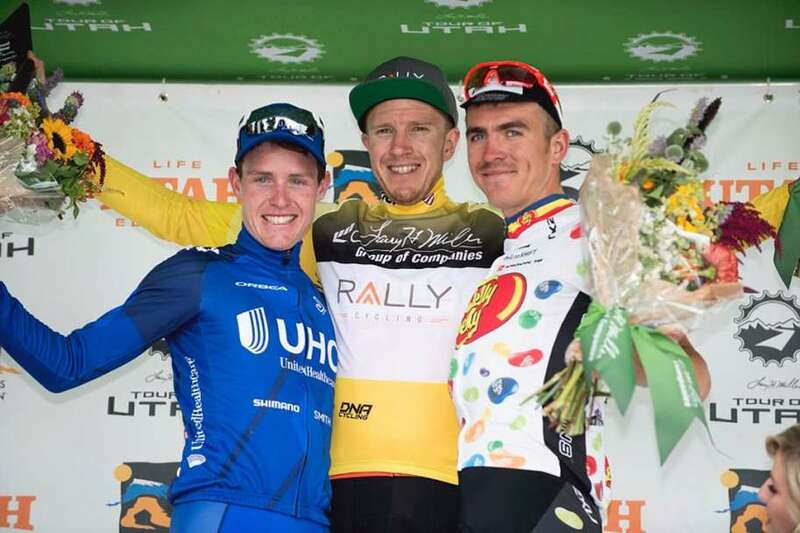 Resplendent in yellow and surrounded by the orange jerseys of Rally Cycling, Rob Britton crossed the finish line of Stage 7 Sunday afternoon in front of the State Capitol Building, to be crowned the winner of the 2017 Larry H. Miller Tour of Utah. The victory marks his first UCI 2.HC stage race title and is a career-defining moment for the Canadian from Regina, Saskatchewan. A true champion, Britton is known for his relentless work ethic, dedication and loyalty to teammates. These characteristics are essential elements at the core of Rally Cycling and were on display in Utah as every member of the team sacrificed personal ambitions to defend the yellow jersey. Britton took control of the race on Wednesday with an incredible performance in the stage three uphill time trial where he moved into the lead ahead of overnight race leader and teammate, Sepp Kuss. Flying up Big Cottonwood Canyon in a time of 18:26, Britton dominated affairs arriving 13 seconds faster than runner-up Serghei Tvetcov (Jelly Belly-Maxxis) and 26 seconds faster than third-place Gavin Mannion (UnitedHealthcare). His masterful ride gave him a 26 second lead in the general classification over Mannion, with Tvetcov a further two seconds back. BMC’s Brent Bookwalter, the early race favorite, loomed in sixth overall at 44 seconds. With Britton in the overall lead, and fully confident in their race leader, the team dedicated itself completely to the task of securing final victory. 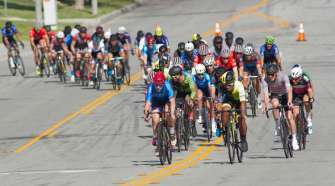 In the fourth stage into South Jordan City, the team endured sweltering heat and constant attacks but controlled the pace throughout the day, thanks in large part to two-time Utah stage winner Eric Young, who gave up his own chances for a third win. In addition to successfully defending the overall lead, Colin Joyce sprinted to a strong fourth place while Tour of Utah fans chose Young as their Favorite Sprinter. The team again defended the yellow jersey with panache in stage five. On the closing circuits around the city of Bountiful, attacks came fast and furious but were neutralized by Sepp Kuss and Adam de Vos. The duo rode tempo, matched every acceleration and delivered Britton safely across the line. Saturday’s stage six would be the team’s biggest challenge on the road to overall victory. The Tour of Utah’s queen stage included the climb up American Fork Canyon, before finishing atop the 4,000 ft ascent to Snowbird Resort. With a 26-second lead, other general classification riders knew it was their best, and perhaps last chance to dethrone Britton. On the climb over American Fork Canyon, danger men Bookwalter and Taylor Eisenhart (Holowesko-Citadel) charged off the front, and with help from their teammates, who dropped back from an earlier breakaway to assist, built a lead of 1:20. 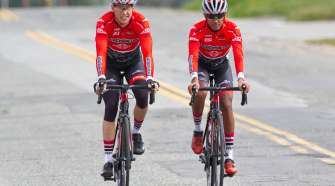 With the yellow jersey threatened, Evan Huffman, Joyce and Danny Pate powered across the foothills east of Salt Lake City, steadily narrowing their deficit. As Huffman dieseled up the lower slopes of Snowbird, the gap to Bookwalter and Eisenhart fell to 15 seconds. It was then Kuss who guided the yellow jersey up the first half of the ascent. Britton then took control on the climb, setting the pace and marking his rivals. Bookwalter and Eisenhart slipped back due to their earlier efforts while neither Mannion nor Tvetcov proved able to distance themselves from Rally’s leader. Britton crossed the line in fifth and cemented his overall lead with one stage remaining. Heading into the final day through the streets of Salt Lake City, the team once again controlled the pace and kept Britton near the front of the peloton and out danger. 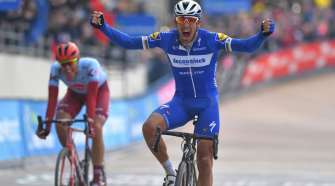 In the final run for the line, Marco Canola (Nippo – Vini Fantini) took the win while Britton crossed safely in sixth place to claim the biggest win of his career. In delivering a strong performance throughout the week, Kuss also finished up in ninth overall. Sunday’s overall win at the 2.HC ranked Tour of Utah marks the biggest stage race victory in the team’s 11 year history. With little respite however, the team will look to continue its most successful season to date next week, at the Colorado Classic.